David Morgan casts his eye over the Lif system from Selux: a comprehensive urban lighting system based on a minimal pole design. Selux Lighting, originally known as Semperlux, Latin for ‘always light’, was started by Hermann Bansbach in Berlin in 1948, when the city still lay in ruins with hardly any electricity – or light. Hermann Bansbach brought light into this dark time by brightening the Berliners’ buildings with his simple, affordable battery charger. The Selux brand name replaced Semperlux in the 1980s and a craftman’s shop in Berlin turned into a global company with 553 employees in Europe, North America, and Australia. Today the company generates more than 80% of its revenues outside Germany. Selux has produced exterior amenity and street lighting since the 1960s and has lit major cities around the world. The Lif system is one of the latest amenity lighting ranges to be added to the Selux range and was launched at Light+Building in 2016. 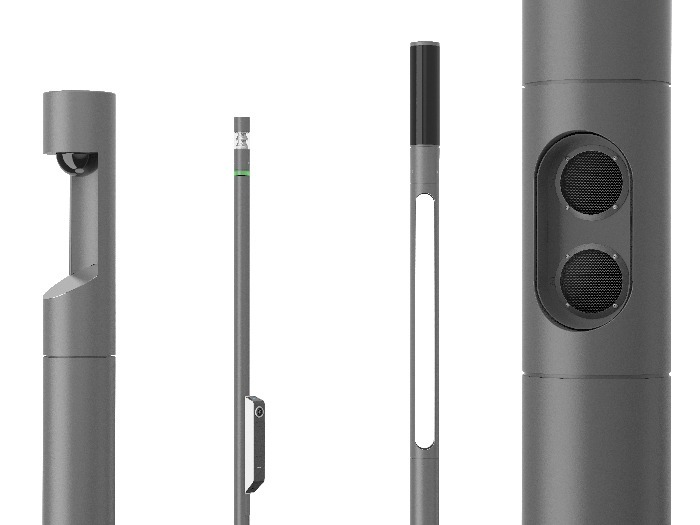 Lif is a comprehensive urban lighting system based on a minimal 180mm diameter pole design. As many elements of the system as possible are designed to fit within this diameter. These include a variety of LED luminaires, CCTV cameras, Wi-Fi hotspot and loudspeaker modules, and this provides an integrated and elegant appearance that could reduce the visual clutter of many city centres. The only elements that extend beyond the pole diameter are signage, phone charging points, emergency phones and information points. The LED lighting elements of the Lif system include pole top luminaires for general lighting, façade lighting arrays, directional projectors and diffuse rings of light available in various colours. The luminaires and other system elements can be stacked on top of each other to provide the precise combination of outputs and distributions required for the particular location in an urban space. The lighting and other modules are mounted in cylindrical housings available in four different heights, which can be independently rotated to aim the light output from the projectors and façade lighting in the correct direction. The smallest housing is 250mm high and large enough for the twin projector module with the largest housing being 1.5 metres to accommodate up to three façade lighting arrays. Within each LED luminaire type there are multiple options. The façade lighting luminaires are available in horizontal or vertical beam types with ten distributions and two colour temperature options of 3,000k and 4,000k. The design detail and construction of the 500mm long façade lighting luminaires is particularly well executed. Twelve high power LEDs with TIR optics are aimed sideways towards individual scoop shaped faceted reflectors that direct the light into the correct beam pattern and direction for the various distributions. For each distribution type the reflectors are positioned and aimed in different configurations. The front glass is bonded to the die-cast enclosure with an attractive screen-printed pattern to hide the bond line. The post top lighting element is also beautifully detailed with individual sub-assemblies including an LED ring, heat sink, moulded prismatic lens and highly engineered facetted, vacuum metalised, moulded reflector. Two or four sub-assemblies comprise each post top element with either symmetrical or asymmetric distributions. The twin spot projectors incorporate hybrid optics that combine a facetted-moulded lens with a metalised reflector coating to produce a narrow beam distribution from a shallow component. Two beam angles are available and can be combined in the same twin projector module. The front glasses are again bonded to the die-cast heat sink housing. 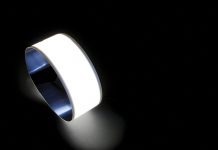 The final luminaire type is the diffuser ring. This can be provided in any fixed colour for zoning or as part of a wayfinding scheme. These can be located either at the top of the pole under the top cap or between any of the other elements in the stack. Dimming for all luminaires is via DALI. 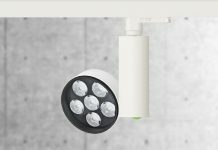 The Lif system is a very well engineered and elegant system that can be configured in multiple ways to meet almost any city centre amenity lighting task. It is understood that the design and development was all undertaken in house over an eighteen-month period by the Selux design and engineering team. The visual logic of the system’s design is minimal and the detailing is clean and very well executed with high-quality components. 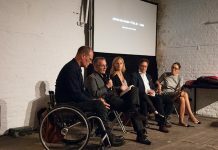 My only concern about the design is that the projectors and façade lighting luminaire are all sealed for life and would not be able to be maintained on site at the end of their life or in case of any LED failures. However, bonding the glass directly to the casting does give a very effective seal and it may be that these luminaires can be reworked in the Selux factories if necessary. This new system is an interesting, elegant and practical addition to the Selux amenity lighting range.